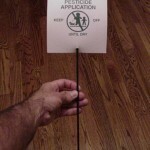 PRODUCT DESCRIPTION: This type of sign is used by commercial landscapers who treat yards with fertilizers, pesticides, fungicides and other products. Many states and local governments have adopted laws requiring that such signs be placed out to alert anyone walking on the turf that it was recently treated and should be avoided. It depicts an adult, a pet and a child and in most cases will cause people to stay clear of any yard or area. The Stakes are plastic with tapered ends so they will fit into the ground easily. They measure 15-20 inches long with each sign about 6" by 6". 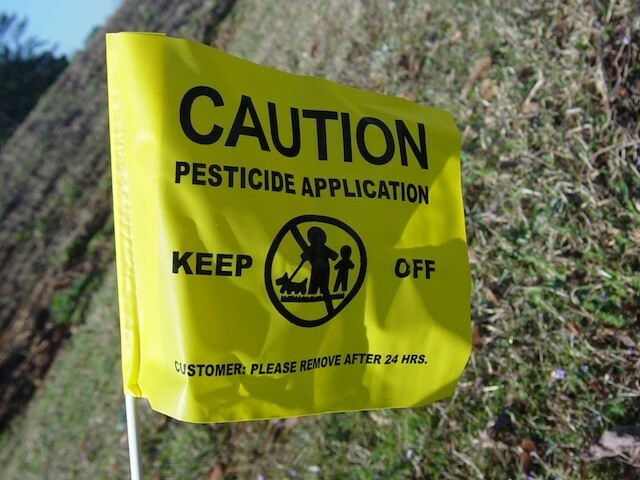 Exactly what I wanted to put in my front yard and along street strip so dog walkers know pesticide was applied.